It's just one of those names, like Carroll O'Connor. No matter how often we write about Star Trek — and it is quite often — each and every time we come to type "DeForest Kelley" we have to pause. Are there two Rs in there or just one? Is the F capitalized or lowercase? Are there four Es or three? Well, if you're going off his onscreen credits, then, yes. All of the above is correct. At least, every iteration of his name has been used at some point. Kelley was born to a Baptist minister outside of Atlanta, Georgia. His parents named him after Lee de Forest, the electrical engineer and inventor who helped pioneer advancements in radio and movie sound. Lee de Forest was also the man behind the American DeForest Wireless Telegraph Company, so there was already a history of surname variation. Is there a space after the "De" or no? 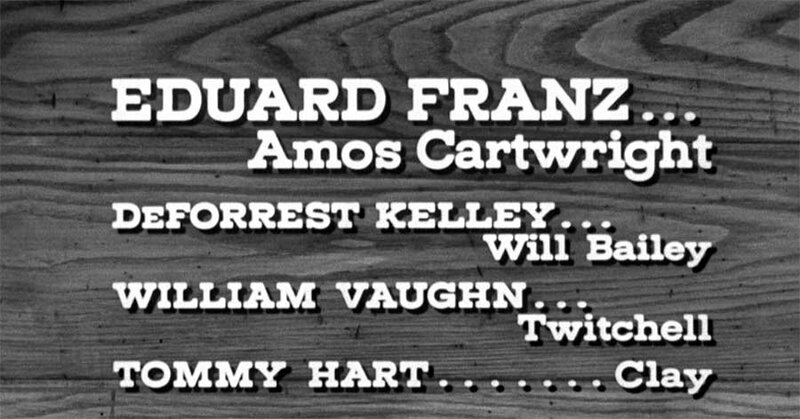 It was a rather prescient baby name for a boy who would go on to work in both radio and motion pictures. Kelley started his acting career with small supporting roles in crime flicks and Westerns. Studios typically cast him as a bad guy. They also spelled his name any and every way they could. 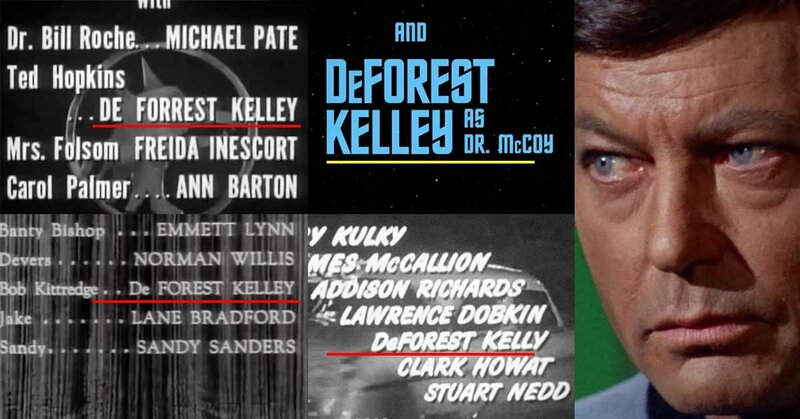 Fortunately, once he became better known as Leonard "Bones" McCoy on Star Trek, "DeForest Kelley" was locked in. His name was never miscredited again. Fame has a funny way of curing that.